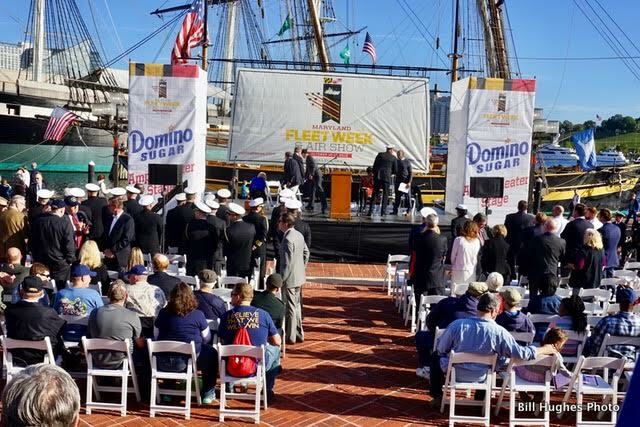 It’s “Fleet Week” (Oct. 10-17) in the port of Baltimore. The gala celebration includes dozens of vessels; military and private alike, plus schooner ships, from both Canada and the U.S. They are all part of the big show. An air demonstration, which features the daring “Blue Angels,” will also be on the program. One of the military vessels on display is the “USS Zumwalt.” It’s currently docked on the north side of Locust Point near Fort McHenry. A public welcoming ceremony was held for it at 4 pm, Wednesday afternoon, Oct. 12, 2016, at the Inner Harbor’s Amphitheater. The “Zumwalt” will be officially commissioned on Oct. 15th. The “Zumwalt” has been described as one of “the most technologically advanced surface ships” in the world. It’s armed up to the teeth. Plus, it cost the war-weary American taxpayers an arm and leg to build it. Try a whopping $7 billion. As expected, not everybody was overjoyed about this event. Peace activists, who embrace non-violence as a means of opposing “The Endless War Machine,” staged a vigil. Their demonstration began at 4 p.m. 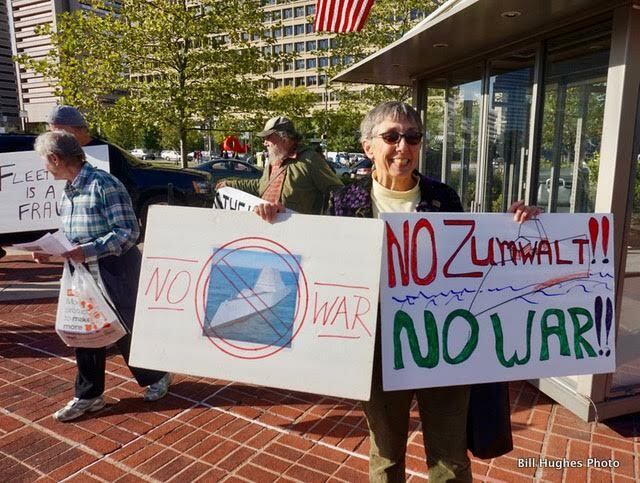 The main focus of the protest was the presence of the “Zumwalt” in the port. About ten of them gathered at the corner of Pratt and Calvert Streets, in the Inner Harbor. There, they handed out leaflets to passers by. I talked with one of the activists, Max Obuszewski. $7 Billion Warship “Zumwalt” Draws a Protest from Bill Hughes on Vimeo. More of my photos can be found at my Facebook page.